A deluge of criticism has descended upon HMRC and its private sector IR35 reform proposal -- by every organisation to have so far made public its reply to Friday’s consultation. The damning response is made up of individual replies from 12 separate outfits, both inside and outside the contractor sector, ranging from tax firms and trade bodies to charities and status experts. Although the 12 are only a fraction of the total number of respondents to the consultation, for being made independently of each other, the uniformity of their criticisms is already stark. The 12 condemn the plan to rollout IR35 reforms further using terms like “unconscionable”; ‘shambolic,’ “short-sighted” or, amid Brexit and MTD already incoming for 2019, akin to “madness”. The Association of Recruitment Consultancies says there was no independent scrutiny of the reforms, which it has unresolved “complaints” about, yet the proposal is based upon them. 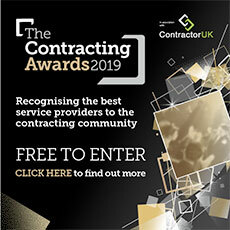 The Contractor Co-operative wants a different model altogether for private sector IR35 reform, as do about half of the 12, who have answered HMRC’s ‘other options’ question. The Chartered Institute of Taxation is among them, and it says “mistakes” with 2017’s reforms, doubts over CEST and “difficulties” like blanketing, make a 2019 rollout premature. It is the firm’s boss Sumit Agarwal who likened HMRC to Donald Trump, the US president known for his singlemindedness or, as his critics prefer, an inability to listen. IPSE, another trade body, urged HMRC “don’t do it and definitely don’t do it anytime soon,” warning of nine ill-effects, a crippling of the flexible economy and a £14,000 hit per PSC. Tax firm Intouch Accounting said the 2017 reforms haven’t worked as intended; have led to non-compliance; were presented misleadingly by HMRC and should not be extended in 2019. Status experts Qdos says not only would a 2019 extension be premature, it would also ‘break the government’s promise to help small firms,’ by wrongly placing more PSCs inside IR35. As well as their arguments against the IR35 reform plan being strikingly similar (in both content and structure), a few of the 12 outfits seem further aligned in their next objectives. “The next steps for IPSE…is consulting our membership – and more widely – on what the likely outcomes of a move into the private sector would be,” said IPSE’s CEO Chris Bryce. Responses to the HMRC consultation from some of the 12 organisations -- as well as other organisations (especially if any emerge as in support of its ‘lead proposal’), will this week be excerpted and published by ContractorUK. ‘Creditable’ freelancer defeats HMRC’s £124k tax bill, without Substitution and with Mutuality. HMRC's bid to hold an IR35 enquiry open indefinitely is thwarted using its own vows. Sixty days to sort your ‘shocking’ limited company engagements stance, MPs tell the corporation. PSCs will agree 2017's ‘lessons haven’t been learned’ but, for 2020, decisions have been taken. Treasury says CEST is going to change; rejects blanketing as common and denies loan charge link.